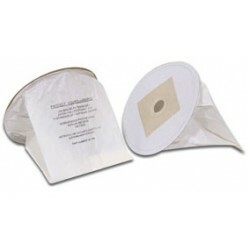 Toss out used dust bags and replace them with the Metro Disposable Replacement Filter Bags for the Vac N Blo vacuums. These filter bags keep the dust contained within the bag. There's no need to clean and reuse a bag when you can replace it inexpensively. Five bags are included in this pack. Ten Replacement bags for Turbo 2000 Series.